Gleneagles Hotel in Perthshire hosted its annual Gleneagles For Art Lovers event in its elegant ballroom at the weekend. 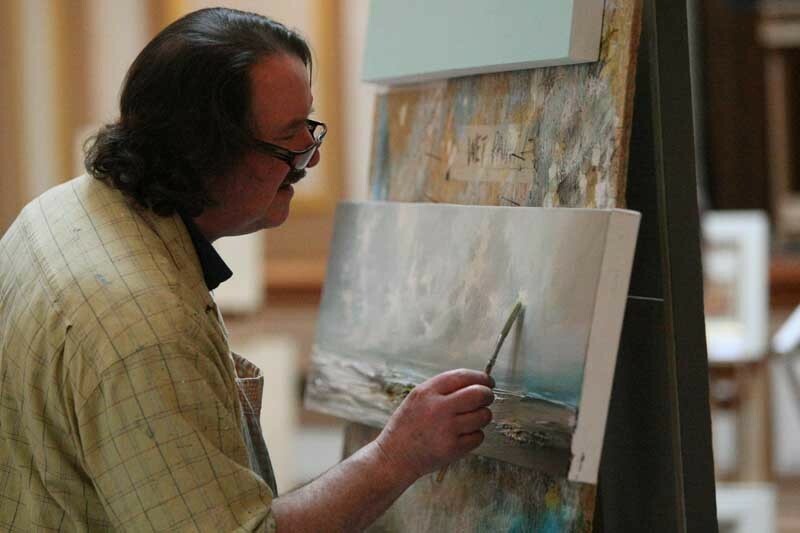 The resort showcased the work of Scottish artists Gordon Wilson, Angus MacDonald, Philip Raskin, Nigel Grounds, Peter Howson, Ian Elliot, Cara Mackinnon Crawford, Gerald Burns, Ritchie Collins, Luci Maclaren and Mark Holden, among others. As well as original paintings, ceramics by Alex Johanssen, pottery by John Maguire and contemporary glass by Zoe Gadsby were also on display. For those looking to obtain an insight into how artists create their masterpieces, there were live demonstrations by several artists.